As we age, the body struggles to absorb the vitamins and minerals it needs. The solution for this is IV therapy, where we give the nutrients the body needs directly into the blood, increasing absorbency, making you feel revitalized. We all try to eat healthy and take care of ourselves but that’s not always possible when we live such busy lives. Taking vitamins and minerals can help but they can be harsh on the stomach and are not properly absorbed in the GI tract. Supplementing the deficiencies in your body with a customized vitamin infusion you will feel the benefits immediately because the vitamins are delivered directly into the bloodstream. In an hour or two depending on the I.V. protocol you choose we’ll have you feeling better than you ever have. While many people supplement their nutrition with vitamin and mineral pills, these supplements are often hard on the stomach, lose potency, and are not properly absorbed in the GI track. By taking these same vitamins and minerals through IV Infusion Therapy, absorbency and delivery are enhanced, making the vitamins more beneficial. IV Infusion Therapy takes high quality vitamins, minerals, antioxidants, and amino acids, and places them directly into the blood stream. The nutrients are immediately available to the body’s cells to promote growth and health, and are significantly more effective than traditional oral pills. 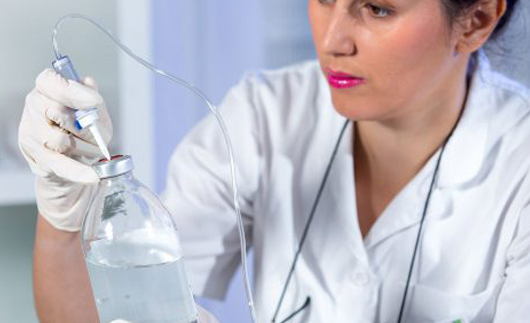 An IV Infusion typically takes one to two hours, depending on the protocol you choose. What Can IV Infusion Therapy Treat?